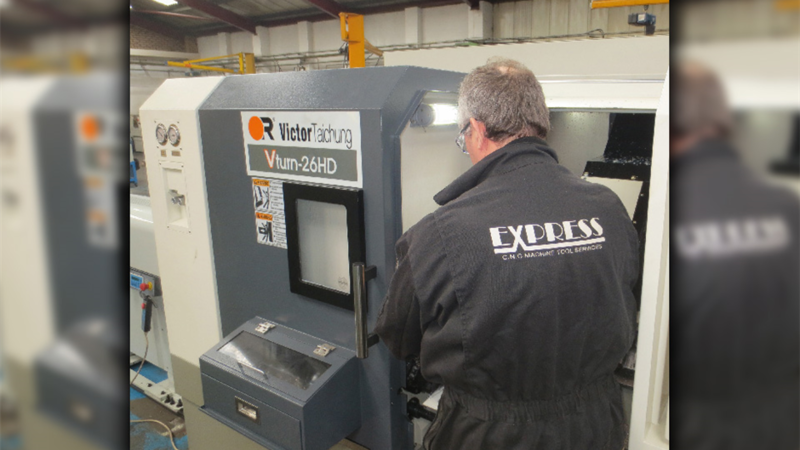 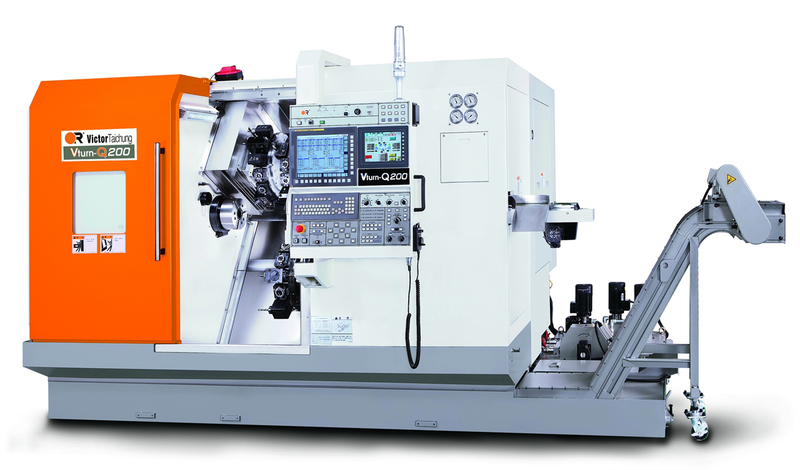 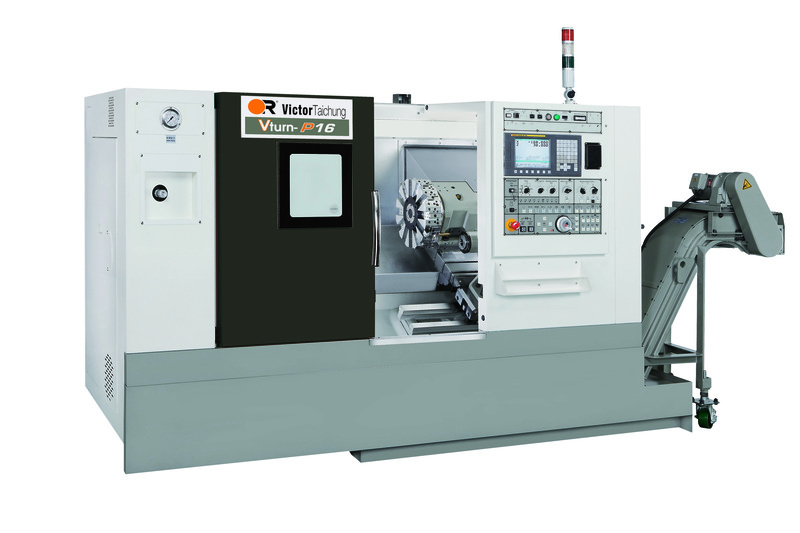 Victor CNC has now introduced its Vturn P20 range of slant bed turning centres. 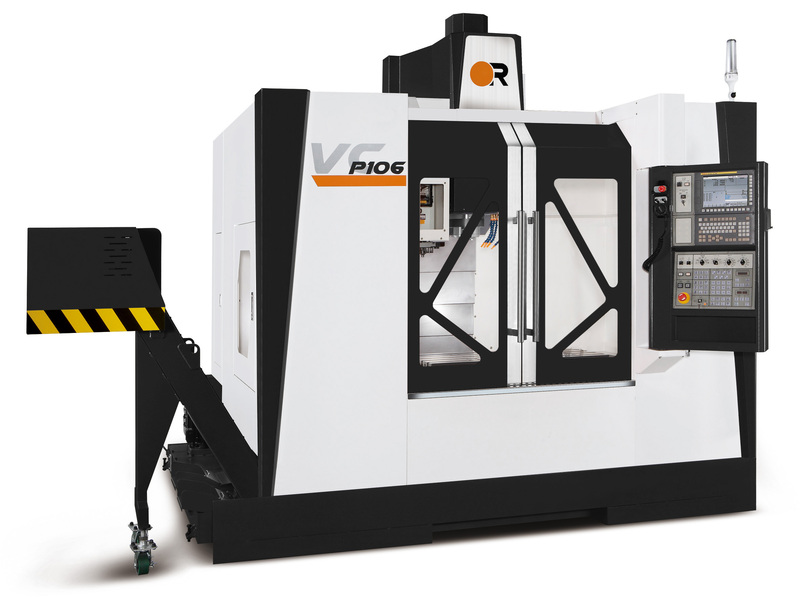 In this latest line of machines, Victor has not only enhanced the structure of the Vturn P-series lathes with an improved slant bed and turret design, but it has also upgraded the rapid feed rates in order to improve productivity. 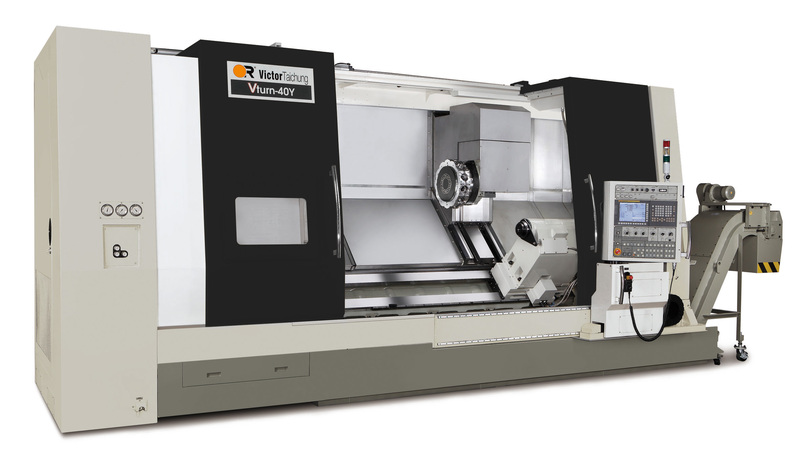 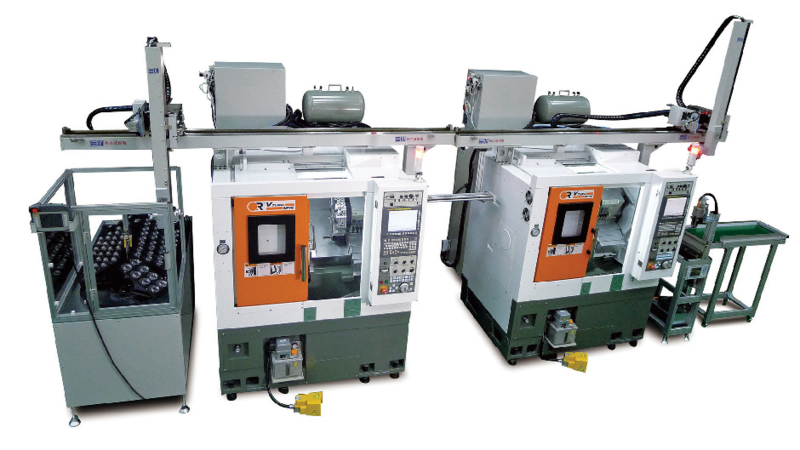 The Vturn 40 and Vturn 45 lathes both offer a huge swing over bed of 780mm, a maximum turning diameter of 620mm and a through bore headstock of 91 and 117.5mm respectively. 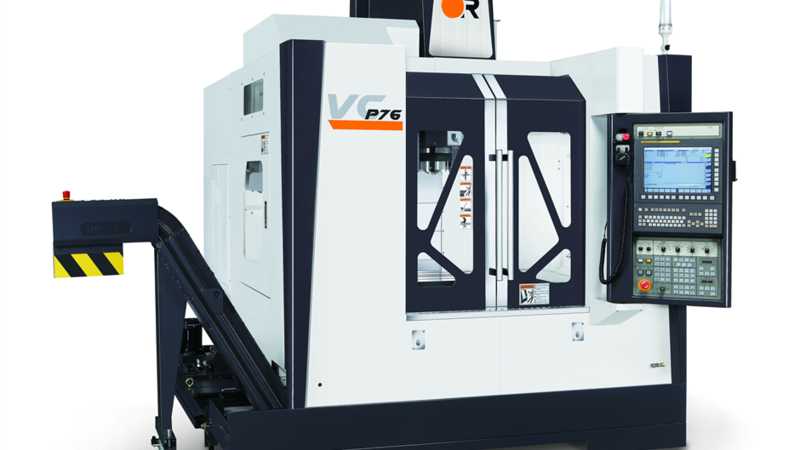 These considerable dimensions are traversed at rates of up 20m/min whilst flexibility can be derived from a C-axis (VDI-50 or BMT-75) or Y and C-axis with BMT-75 turret option. 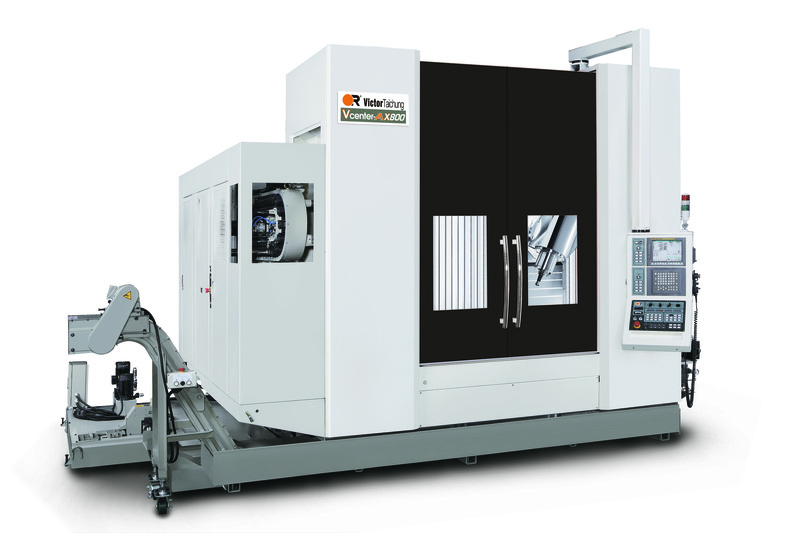 Taking flexibility to a new level, the new AX800 incorporates a swivelling head B-axis and a C-axis rotary table to fully facilitate 5-axis machining of large parts up to 1m diameter.